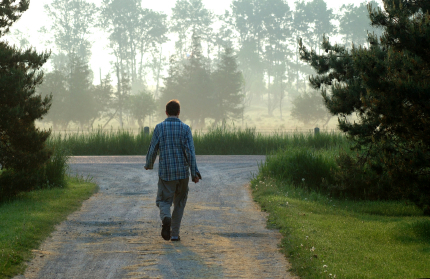 →What to do when you don’t know what to do! online marketing, get on track and get results — now! One of the things that steals your profits is getting stuck in the paralysis of analysis and endless research mode, and never turning on the switch for action mode. That’s only one of a number of new concepts and things I’m adding. I’m very selective about who I allow in this. It’s by application only. Contact getyoursupport.com and request an application. There’s nothing like a big, giant dose of Grant Cardone to kick you into action mode. The reason I love Grant Cardone is he is a truth teller. There aren’t many of those around. It’s FAR more lucrative to ONLY talk about Law of Attraction and how things come to you easily and effortlessly. The truth is, we ALL like magic, myself included! We all like to wave a magic wand or do something else EASY and SIMPLE and have money or other types of results just show up. It doesn’t happen often, but when it does, it’s a bonus day! Now, while we all LIKE magical results, we’re also realists enough to realize that while magic pitches great in a webinar, the TRUTH is what sets you, your income and your marketing free. If you want to SELL stuff, talk about Law of Attraction and things just happening to you. Use lots of passive verbs. But if you want to CHANGE the results you’re getting, Grant Cardone is your guy. Here are a few ideas from Grant Cardone’s book If You’re Not First, You’re Last. * When you take action at the levels Grant recommends, you’ll go COUNTER to what’s considered “reasonable” by most. You’ll like encounter criticism and people telling you to take it easy and not do so much! Instead of trying to be “just as good” as the competition or others, make your goal to dominate that particular area. * Make your ONLY goal to make things happen (within the boundaries of good ethics, the law and personal health). In other words, focus ONLY on results. I personally own his 10X Rule audios and recommend them. Step Two: If you’re uncertain WHICH one of several things to do, do all of ’em. This is a bit counter intuitive. AFTER you know what works, zero in on the few that work and milk ’em for all they’re worth. But to start out, if you don’t know which things to do, don’t hold back. Just try all of them. That’s challenging when time is at a premium. But what I also know is we spend a LOT of time on tension RELIEVING activities that we can re-route to action-producing activities. It’s pretty amazing how much you can get done when you REALLY focus and don’t hold back. Just last week I was having a debate with myself between sending out a print version of my newsletter to affiliates vs. distributing it those on my affiliate list vs. running Facebook ads to known affiliates. I decided to 10X it and do all of them. This is where Grant Cardone comes in. If you’re not taking enough action, he’ll get you in gear. On the other hand, there is no premium for ignorance. Sometimes, the most productive thing you can do is sharpen your saw. I know people who sell coaching programs and their pitch is, “Don’t spend time learning things. Just DO them!” Of course, their solution is for you to replace “learning” with their “coaching” where they simply tell you what to do. I personally believe that leaders are readers and leaders are learnings, but NOT to the exclusion of being heavy action takers. Always be BIASED on the side of taking action ala Grant Cardone. Step Four: If it’s NOT working, don’t keep beating your head against the wall. Figure out a new plan. Some people just keep doing the same things that don’t work over and over. However, there is also a tipping point. You’ve got to create a certain amount of action and momentum in order to BREAK THROUGH the tipping point to obtain Internet Marketing Results and Success. A lot of people, probably most people, simply don’t do enough. They run 2 Facebook ads, don’t make money and call it quits. Others spend $10,000 doing the SAME ADS that haven’t been making money then complain in forums they lost all this money. You take action AND learn. You can’t have one without the other! You either do that or fret and worry and sit on your hands doing nothing but going to website after website. I LOVE the stories in 10X Rule where Grant Cardone explains the actions he took when the recession first hit in the U.S. in 2007, or something like that. Wow! It was pretty amazing. But he’s right. Err on the side of taking action because the LACK of ACTION is what USUALLY is the CAUSE of most people’s lack of results. The REASON we don’t take massive action is simple; There’s always emotional pain involved in taking action. I’ll give you an example: I recorded some new “mind programming’ audios for a specific use to be announced. I had to spend a day or two learning how to edit the audios in Audacity. Before this, I only knew how to do 1 basic editing procedure. I had a learning curve to go through to be able to do more. ANYTIME you try something new, there’s a learning curve — even if you have someone showing you the ropes. We are motivated at a very basic instinctual level to AVOID PAIN! THIS is why more people don’t “break through.” They simply can’t deal with the pain and hassles involved in new learning curves. If you KNOW THIS, it sure makes it easier. I didn’t say it makes it easy. I said it makes it EASIER. I have one audio I have played at least 100 times at night when I go to sleep. Fortunately, it’s kind of monotonous so it puts me to sleep. But the content is GREAT! By listening to it over and over, I absorb it at an unconscious level. I’m doing the same thing with Grant Cardone, except he’s so motivating, it makes it a little hard to sleep! PS: Your likes, COMMENTS, Facebook and Twitter shares are GREATLY appreciated and noticed! 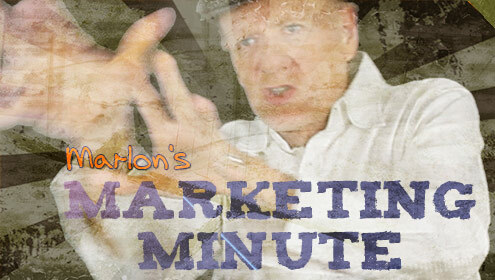 If you got value from this Marlon’s Marketing Minute newsletter about overcoming Internet marketing paralysis of analysis, please tell me in comments, then like and share.